The NBA G League and game officials postponed tonight’s game vs. Grand Rapids prior to tip-off, due to a leak in the roof at the Portland Expo. The game will be made up at a future date, yet to be determined. Any tickets purchased for tonight’s game will be honored at the make-up date. 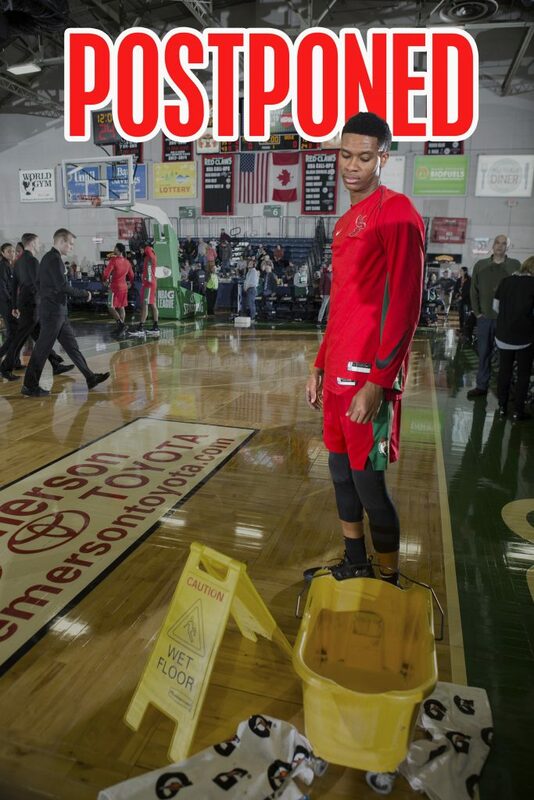 The Maine Red Claws apologize for any inconvenience tonight’s postponement may have caused.